Born near Lindsay, Ontario on 14 May 1886, son of Josiah Best (1856-1939) and Euphemia Ann Shield (1860-1939), he attended the University of Toronto, graduating in 1911 and took theology courses at Toronto’s Knox College. Following graduation with high honours in 1913 (BA), he was ordained in 1914. He moved to Winnipeg where he was as Assistant Minister at Augustine Church (1914-1915), Minister at Knox Presbyterian Church in Neepawa (1915-? ), Field Secretary for the Manitoba Social Service Council (1918-? ), and Minister at Knox Church in Brandon (1927-1932), Virden United Church (1932-?) and Fort Frances United Church (1937-1946) in Ontario. He was President of the Manitoba Conference (1938), Chairman of the Conferences Home Missions Committee (1946), and Superintendent of Missions (Manitoba Conferences) of the United Church of Canada (1946-?). 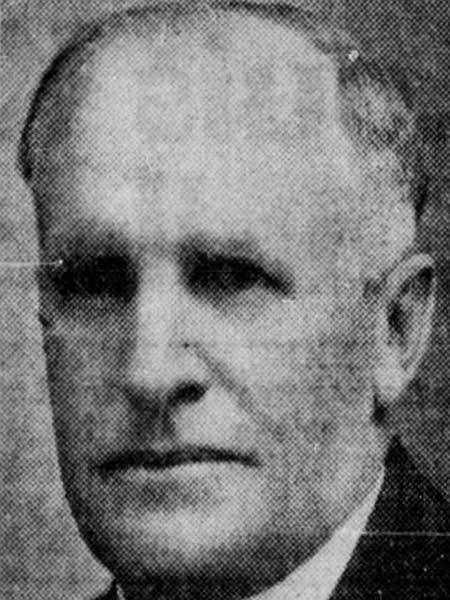 On 14 November 1918, he married Kathleen Isabel Thorpe Broatch at Winnipeg and had two children: Douglas Broatch Best (1921-1976) and Kathryn Cecile Best. He died on 13 April 1968 and was buried at Omemee [Emily], Ontario in the Emily Presbyterian Cemetery. “Rev. C. H. Best begins work,” Winnipeg Tribune, 4 July 1914, page 25. “Rev. Cecil H. Best called by Neepawa,” Winnipeg Tribune, 18 November 1915, page 12. “Is Field Secretary for social service,” Winnipeg Tribune, 6 January 1921, page 3. “Rev. Cecil Best to head United Church Missions,” Winnipeg Tribune, 20 June 1946, page 2. “40 years ago today,” Brandon Sun, 28 May 1971, page 14. “20 years ago today,” Brandon Sun, 17 November 1971, page 13.